The controversial McDonald’s that opened in the Vatican at the start of the year, despite protests from locals and top clerics in Rome, has promised to give out thousands of free meals to the homeless. 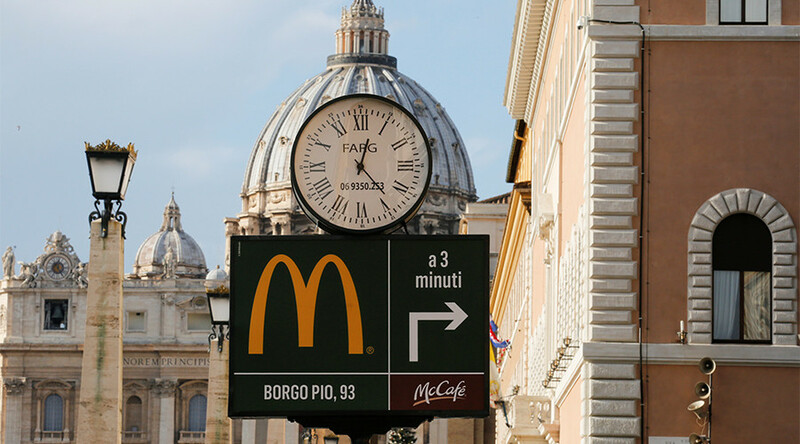 The Borgo Pio branch of McDonald’s, also known as McVatican, is planning to cooperate with Medicina Solidale, a charity organization providing medical care and distributing food to Vatican-based homeless people. 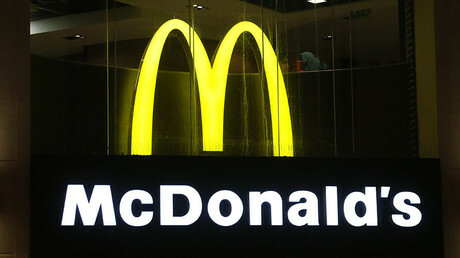 Lucia Ercoli, the head of Medicina Solidale, said she was “very satisfied with this agreement with McDonald’s,” which has “promptly” accepted their proposal, according to Crux.com. Volunteers will start distributing food next Monday. They will collect nearly 1,000 meals from the restaurant and give them to homeless people. “We have been working with the pope’s almoner for a while to provide these people with medical visits and care,” said Polish Archbishop Konrad Krajewski, who provides meals and services on behalf of the pontiff. The initiative comes right in time, just as Europe is dealing with unexpectedly cold winter weather. Meanwhile, Pope Francis has called on Krajewski and others to take measures to help the homeless during the cold snap in Rome and other places. The idea of opening the “McVatican” restaurant was dubbed controversial by some of the cardinals, who said they were not consulted and the restaurant is located too close to a building owned by the Holy See. As of now, the cafe is open from 6:30am to 11:00pm seven days a week, and Wi-Fi is available there. The Vatican is to receive a monthly rent of €30,000 for the 538 square-meter space, according to La Repubblica newspaper.